A slice of Cork Food History. A walk; then a superb lunch in Jacques. A walk; then a superb lunch in Jacques. Firkin Crane, with Butter Exchange on right. Saturday last was that little bit different for members of the Munster Wine and Dine. No bus needed this time. 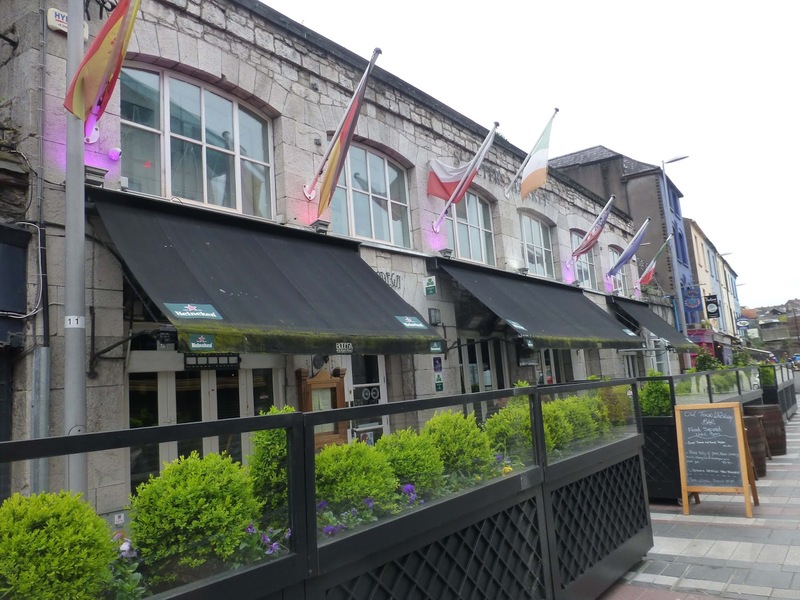 A walk through some of Cork City’s old food (and drink) sites was followed by a lunch in Jacques where the menu gave an occasional nod to food from the past. The walk, more of a conversation on the move really, began near Seamus Murphy’s Onion Seller sculpture in Cornmarket Street and threw up a few surprises. 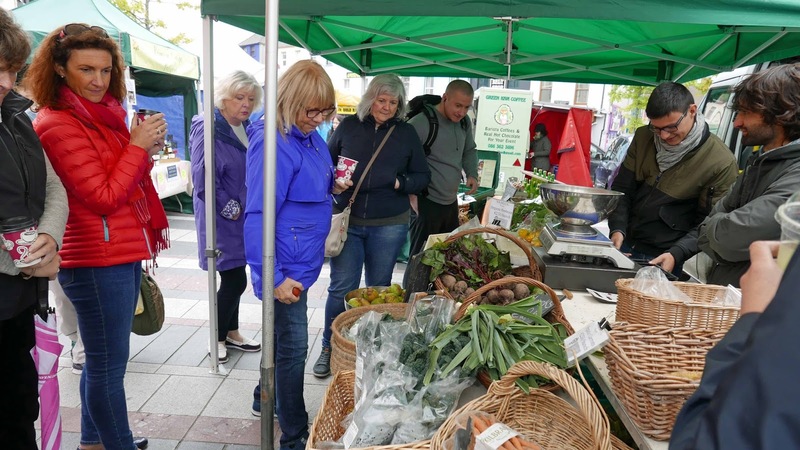 The first was the delight of some walkers who were seeing the Saturday Coal Quay Market for the first time. And another delight came up in Shandon where sweets from the local sweet factory were distributed. Gaps of anticipation as the bags of Bull’s Eyes, Clove Rock, Butter Nuggets, Pear Drops, Rhubarb & Custard and other old time favourites appeared! There were some differences as to the highlights - one walker loved the Seamus Murphy Dog Drinking Bowl in Patrick Street where the stroll finished - but there was general agreement that the powers that be need to get their act together about the Butter Exchange area, an area packed with history, that badly needs renovation and that has the potential to be a major tourist attraction. One suggested that a good power-wash would be a start. Certainly much more needs to be done and quickly before the Exchange and its Portico fall victim to the march of time or the match of the arsonist. 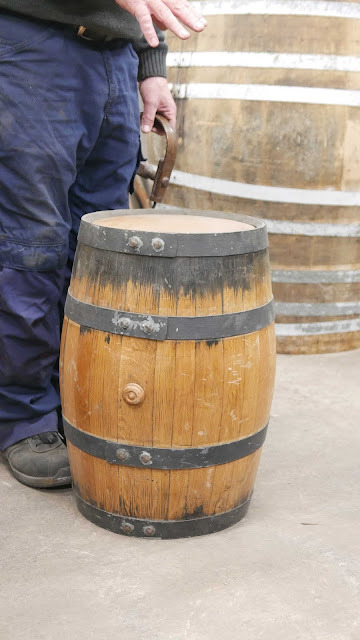 While some of the history touched on stretched back over the centuries, some was quite recent and when we reached the site of the old Whitaker's Hatchery on Camden Quay, we had first hand knowledge passed to us by ex-employee Aoife McCan. She told us all about the day-old chicks that were dispatched by bus all over the county and beyond. But it was her tale of the “turkey sexer" that really surprised everyone. Apparently it is not easy to tell the difference between the genders. But some people have the gift! And Whitaker's had to book their expert well in advance and get him in from England when the turkey chicks, destined for Christmas market, were being born. Nobody wanted the “tougher” male turkeys, so the “sexer’s” job was to weed them out. The Kiln Rover once flowed past Whitaker's but that part of it is now enclosed underground. We went up towards the brewery to get a glimpse of its waters. And another walker was able to tell us that the brewery and a nearby distillery (St Johns, long closed) would have had an argument or two about their use of the Kiln River’s water. If you missed the walk, I have published my notes for it here and you may check it out for yourself. 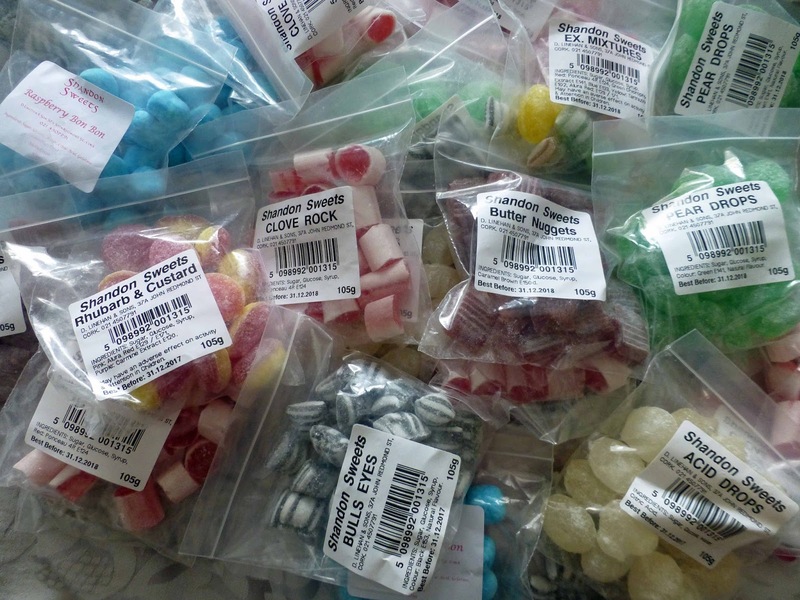 And if you want to get some of those sweets, note that the factory is open Monday to Friday, not on Saturday. Huge queue at Jacques as we arrived for lunch but it was at the other side of the street heading to see Cillian Murphy in Crane Lane. 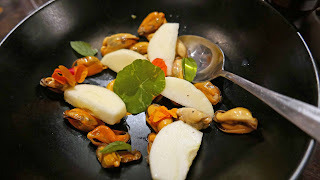 A welcome glass of Longueville House cider as we got to our seats and than an immediate bite from the past: pickled mussels, apple, nasturtium. 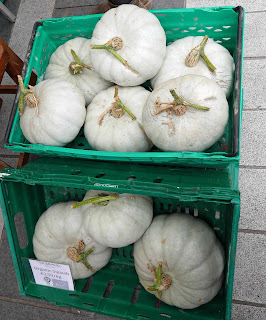 The pickling was a method of preserving them. 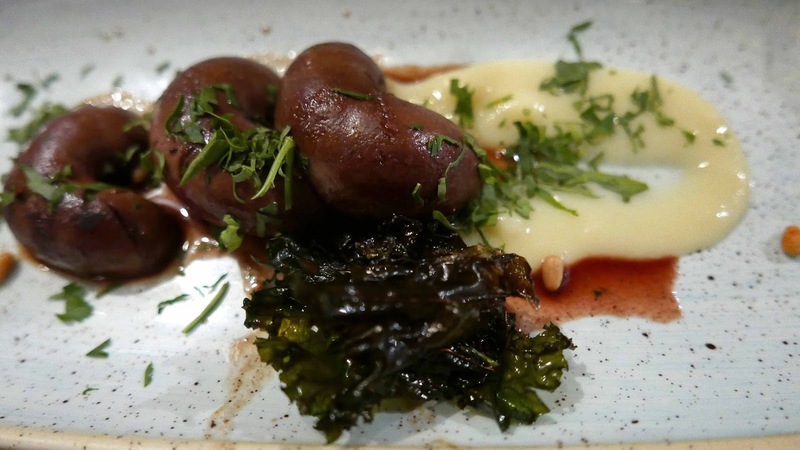 We had a choice of starters and I picked one of the old ones: Lambs kidneys, smoked potato purée, raisins, pine kernels, red wine. A blas from the past. The Barry’s here buy quite a share of their vegetables from the Kilbrack Farm stall in the Coal Quay market - we had stopped there earlier - and the Kilbrack beetroot was featured here with Ardsallagh cheese. 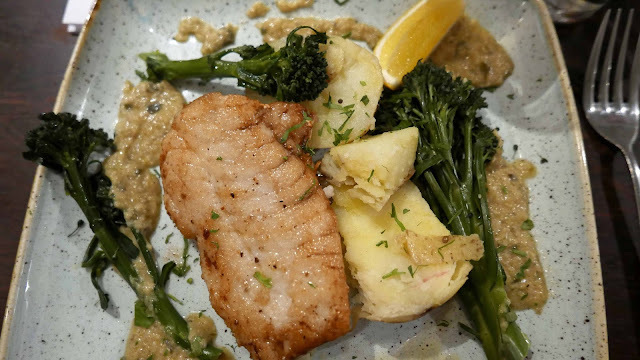 Dave Barry’s Queens turned up in my mains which was a delicious fresh Hake, with seaweed butter, those spuds, and sprouting broccoli. Also available were Confit Duck (with pearl barley), Leg of Ham (with colcannon) and more. And dessert was largely foraged: Carrigeen mousse and in-season blackberries. As we walked out on to the street, the rain had started to fall. We didn't mind too much as it had stayed dry for the walk! If you missed the walk, I have published my notes for it here; you may like to check it out for yourself. 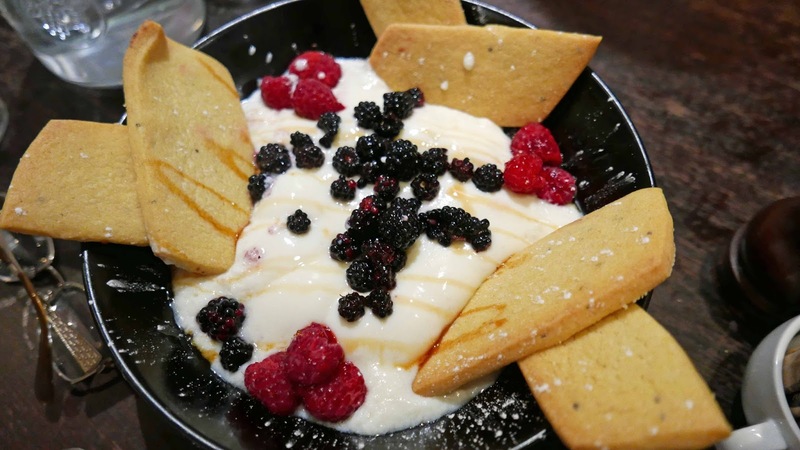 Food Walk in Cork. Notes for the recent Munster Wine & Dine Walk. 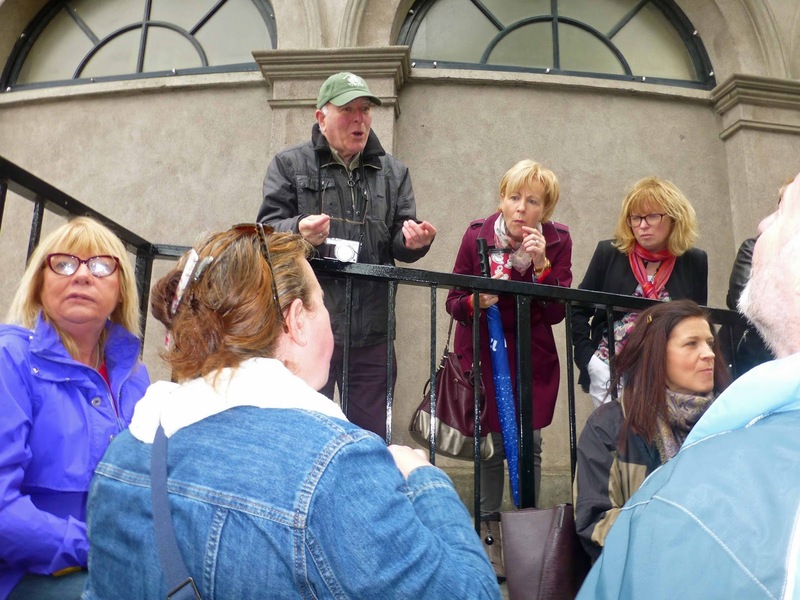 Notes for the recent Munster Wine & Dine Walk. See also post on the actual walk and lunch afterwards in Jacques here. Today, we start with this little statue of the Onion Seller. It was made in 1937 by Seamus Murphy to commemorate the traders here in Cornmarket Street but you’ll also have seen her twin over in Bishop Lucey Park. The four bay double height Cornstore behind us has seen service as a cornstore and also as a potato and coal store. And, if you look up, you’ll see signs of it being a market and bazaar. The Bodega stands on the site of St Peter’s Market. The main entrance was on North Main Street. It was completed in 1843 and became known as the Irish Market, its customers regarded as inferior to those of the English Market. After years of decline, the Irish Market closed in 1916 and then saw service as a shell factory for British military. Later, after the various wars, it was revived as a market and stuttered along until its final closure in 1955. Across the road, you’ll the Musgrave name, long associated with food and general trading in the city. More recently, the Rising Sons brewery opened here, one of a handful of brew pubs across the city. Now we have the Saturday Market on the Coal Quay, which was indeed a quay. But water is never far away here, just below the floors of the premises, always a worry. Here you’ll see some lovely stalls including Kilbrack Farm from where Jacques get their organic vegetables. Over the footbridge now and, off to your right, you have Iyer and his famous South Indian food. On the left, there is a newish Nepalese restaurant called Thali (meaning plate!). The Cornstore (taken a few years back). 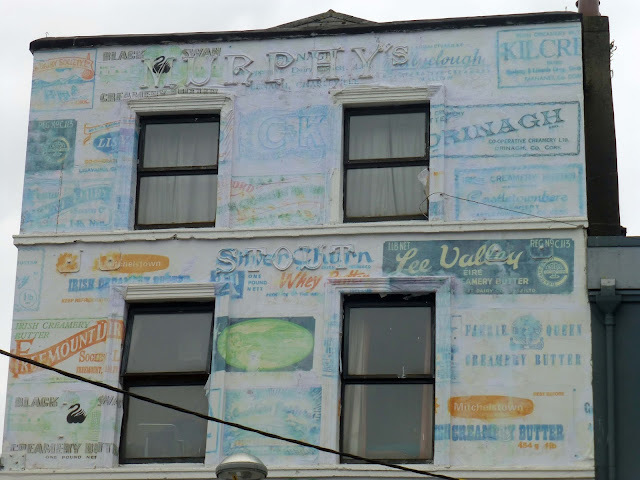 On the corner of Shandon Street, for a few months this year and up to a few weeks ago, the corner building had been painted with butter wraps including names such as Lee Valley, Silver Churn, Freemount and Drinagh. Not anymore, for some reason. But a nearby advert has lasted much longer. Look up, above the hairdressers, and you’ll see the Arnott’s Gold Medal Porter sign. John Arnott was mayor of Cork for the first of three terms in 1859 and once owned the St Finbarre’s Brewery in the city. He also operated a large bakery on the site for a few years and, according to the Beamish and Crawford history (by the O’Drisceoil brothers) he was also involved in the Cork Racecourse, linen manufacture, drapery and department stores and the Irish Times. 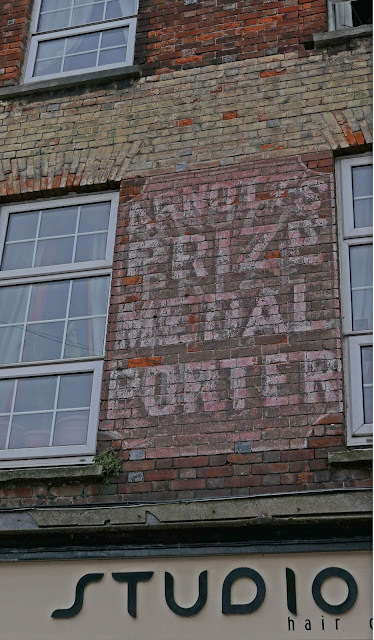 The brewery, bought from Abbott’s in the early 1860s, became best known as Arnotts. And provided strong competition for both Murphy’s and Beamish’s. In the end, Murphy’s prevailed and in 1901 took over and closed down the Arnott’s breweries. Shandon Street was the spine of the city's commercial life in the 18th century. Such was the scale of the beef trade here that it was known as the slaughterhouse of Ireland. And it wasn’t just Ireland. 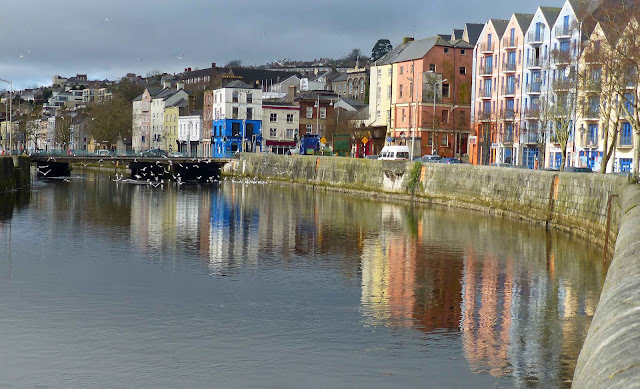 In 1756, France and Britain were at each other’s throats in the Seven Years War and “the Great Ox-slaying city of Cork” emerged as the Royal Navy’s preferred supplier for beef, pork and butter. Let us head up now on the right hand of the street and, as we do, take a note of all the different cuisines available here. You’ll also find an info panel about some of famous people associated with the street. Turn right into Dominic Street and then go left by the Four Liars restaurant. The Firkin Crane here was built on the site of Shandon Castle and is named after the small barrels in which butter was transported. Here the empty firkins were weighed, washed and repaired. They were used to export the butter to many areas of the world, especially where there was a British presence. The Butter Exchange here was remarkable for its longevity, from 1770 to 1924. This Portico, a grand name for a porch, was built in 1849. By 1861, the Cork Butter Exchange became the largest butter exchange in the world. Exports peaked in the 1870s. After that it was in slow decline. Rigid in its ways, in ways that had previously served it well, it failed to react to foreign imports of butter into England and also to new developments in packaging. The system itself, that included quality control and that had been remarkably successful for the best part of a century, now inhibited innovation and the end was nigh. 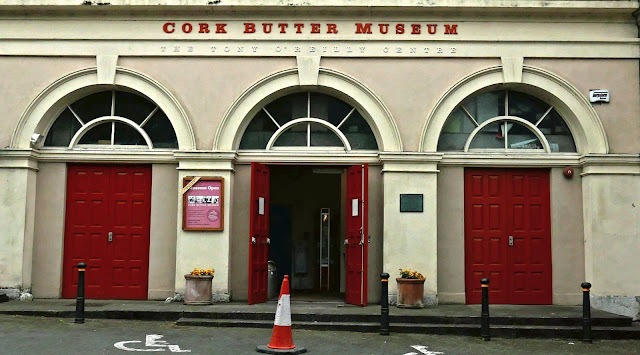 You can find out all about the butter trade and the famous butter roads in the museum here. 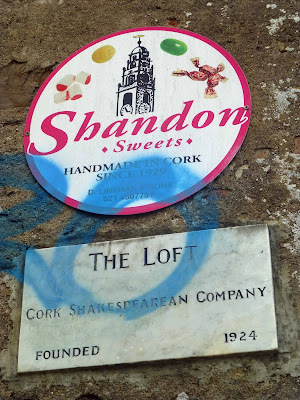 And if you want some good old sweets, you may call here to the Exchange Toffee Works, now known as Shandon Sweets. The Linehan family have been making the sweets here since the 1920s and nowadays the business is carried by Dan and Tony, a father and son pairing. Signs here too for the Loft Shakespearian Company (founded by Father Christy O’Flynn, a man that I knew) and the Butter Exchange Brass Band, and also Mother Jones. Down now to the quay, via Mulgrave Road. Whitaker’s were established here on Mulgrave Road in 1905, to pack butter and eggs; they later started breeding and hatching their own stock, a natural progression. They are still going strong today in Carrigaline, rearing one million point of lay pullets annually. But they started their breeding here in the heart of city, on Camden Quay by the Kiln River (covered in 1992). I have to admit I remember them and the excitement at home when the box of day old chicks arrived, having journeyed out of the city by train or bus. And they were dispatched to many parts of the country as I was reminded when I recently saw an advert in the Gaelic Week of January 11th 1969, the swinging sixties in Ireland. Walk up now towards the brewery and after while you’ll see glimpses of the Kiln River. Cross by the traffic lights into Leitrim Street. 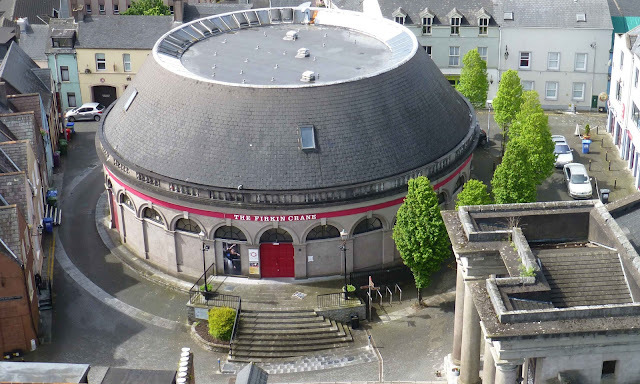 In the run-down triangle of buildings (including O’Keeffe’s Bar), there once was a café called An Stad where I and many other secondary school students would stop (on our way from a match in the Athletic Grounds) for a doughnut and a glass of milk! Times have changed since the early 60s. Walk now to the four-way junction of McCurtain Street, Bridge Street, Coburg Street and Patrick’s. Again back to the 60s (and further) when drovers guided herds of cattle through these streets on their way to the Innishfallen on Penrose Quay, cattle below, humans above, all on the way to the UK. When the cattle had passed, the streets didn’t smell well, didn’t look well. Lots of these drives were in the morning so, to cater for the drovers and the dockers, some pubs in the area, were able to get an early opening licence. Down now over Patrick’s Bridge and stop at the top of Patrick’s Street, more or less opposite the entrance to Merchant’s Quay shopping centre. Take a look at another Seamus Murphy sculpture, one of his smaller works. You’ll have to lean down to see it at the base of the building, 124 Patrick St. In the 1950s, there was a restaurant here called the Milk Bar (how times have changed!). The owner commissioned the sculptor to make a trough so the dogs could have a drink while their owners dined inside! Our walk, book-ended by sculptor Murphy, ended here. See also post on the actual walk and lunch afterwards in Jacques here. 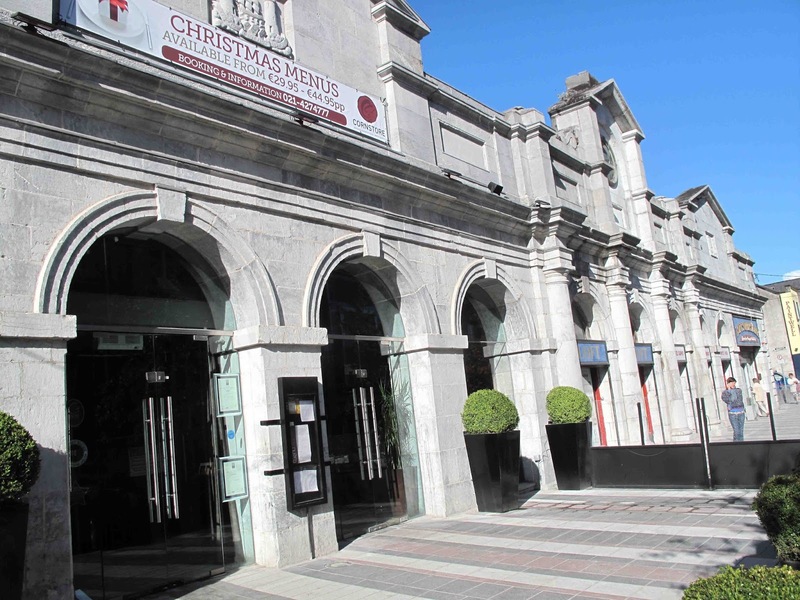 The route: Cornmarket Street (Coal Quay); over footbridge to Pope’s Quay; turn left to corner of Shandon Street and North Gate Bridge; turn right up Shandon; turn right into Dominick Street, then left by Butter Museum into John Redmond Street; down Redmond Street to T junction; turn right on to Mulgrave Road, then left on to Camden Quay; then left on to Carroll’s Quay; cross road at lights by Heineken Brewery and turn right onto Leitrim Street; walk along into Coburg Street to junction with Bridge St; turn right here, cross the Bridge into Patrick Street.